For a one-of-a-kind souvenir, fill up the tank and hit the flea markets. Each spring and fall, vendors set up camp on strips of blacktop in Central and East Texas where you’ll find a treasure trove of yard sales, flea markets and junk fairs – some stretching hundreds of miles. Junk hunters, antique lovers and window shoppers alike flock to these markets in search of their next great find. Start your journey in Round Top for the best antiquing in the nation. This fair started in 1967 in its iconic Big Red Barn and has since spread to tented field vendors along the 20-mile stretch of highway leading to the show. 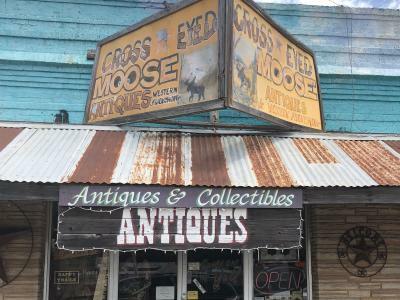 Here, you’ll find a vast selection of high-quality antiques, vintage and farmhouse furniture and décor, along with regional goods like cowhide rugs and Mexican embroidery and industrial salvage just waiting to be repurposed. If you’re from way out of town, never fear – cross-country shippers are on standby to whisk your amazing find back home. While you’re in town, stay at one of the marvelously decorated inns – The Umland St. Sunday Haus, The Prairie at Round Top and Rancho Pillow all come to mind. You’ll be in good company with fellow treasure seekers. And be sure to book a meal at Royers Cafe in advance – you definitely won’t be able to find a seat, and the eating is a divine Round Top rite of passage. Another antiques road event, the Historic U.S. 80 Hi-Way Sale in East Texas, spans almost 400 miles throughout five states each April and October. Yep, we said 400 miles! 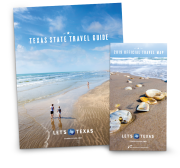 You’ll find the Texas portion along Highway 80 from Arlington to Waskom. Billed as the “biggest yard sale in America,” participating vendors set up everywhere from homey neighborhood driveways to business parking lots, side streets, open fields and pastures along the route. Here, you can sift through anything you can think of – from priceless collectibles and antiques to vintage furniture and junk awaiting transformation. This would be one of those “the journey is the destination” situations; part of its charm is the beautiful drive between locations. Wherever you end up along the Hi-Way Sale, be sure to bring sunscreen and remember that cash is king when it comes to haggling. Then in North Texas, you can choose your own shopping adventure on the 30-plus miles of Antique Alley. More than 200 festival vendors set up in the communities of Grandview, Cleburne, Maypearl, Alvarado, Keene, Venus and Waxahachie each April and September. When mapping out your route, the Antique Alley organizers suggest picking your own starting point based on the participating towns and “just going for it.” Those seeking to restock antique and collectibles businesses scour this market for truckloads of vintage furniture and nostalgic wares, home décor, architectural salvage, apparel and yard sale items. And if you’re looking for something tasty to take home, you’ll be in luck as well with homemade jams, jellies, pies, baked goods and many other festival treats. The antique markets and road shows of Texas overflow with hidden gems, projects and fantastic finds. If you have an eye for style and are keen on sifting, you’re sure to find something you just can’t live without. 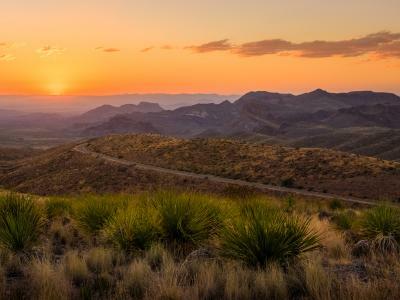 And with so many miles of shopping throughout such a great stretch of the state, it’s very likely that you’ll be a short drive or even just around the corner from your new favorite piece.